The Benue State government says the Economic Financial Crimes Commission (EFCC) has unfrozen its bank accounts. 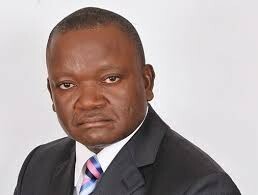 The Chief Press Secretary to Governor Samuel Ortom, Terver Akase, confirmed this to Channels Television in an interview on Thursday. The Anti-graft agency had on Tuesday, August 7th, frozen the accounts of the state government domiciled in three banks. EFCC said the accounts were frozen while they investigated alleged abuse of the state’s security votes.